The African Wildlife Foundation (AWF) is excited to announce the release of a new children’s book whose message people of all ages can get behind. 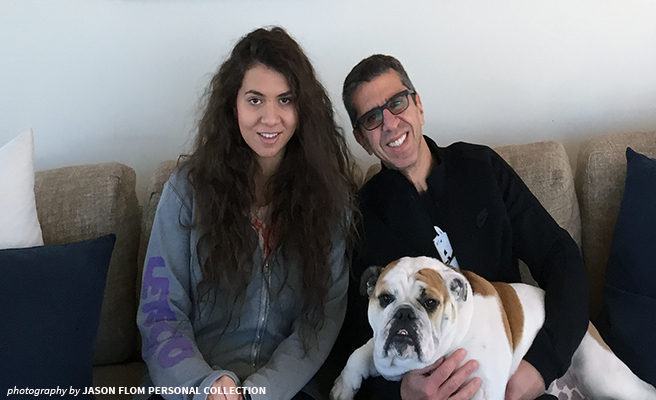 Lulu is a Rhinoceros, written by music industry executive Jason Flom and his daughter Allison, is a story of self-discovery, adventure and embracing individuality. 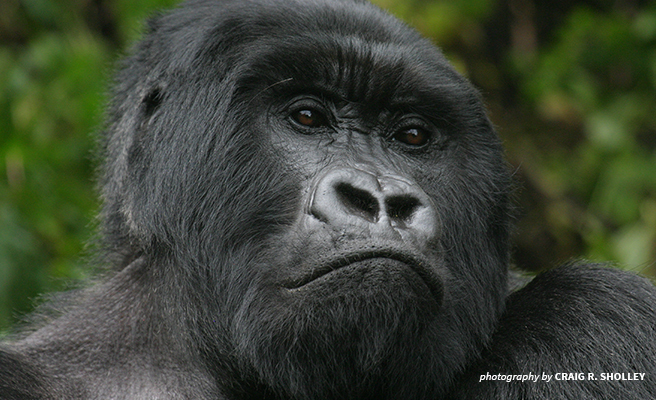 Today the African Wildlife Foundation (AWF) celebrates a conservation win for mountain gorillas after a new census revealed that their total population has surpassed 1,000, up from the previous global number of 880 in 2011. The 1000-plus figure represents the largest number of mountain gorillas ever recorded in the transboundary Virunga Massif encompassing 174 square miles of three national parks in Democratic Republic of Congo, Rwanda and Uganda, plus Uganda's Bwindi Impenetrable Forest—the only other location in the world where this critically endangered great ape is found. 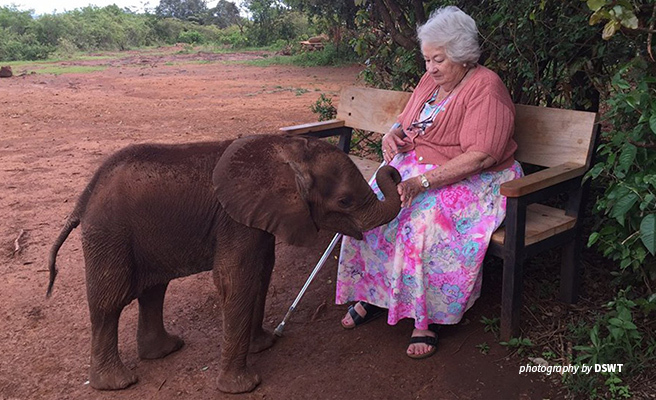 The African Wildlife Foundation (AWF) has learnt with great sadness the death of conservation matriarch Daphne Sheldrick on April 12, 2018. 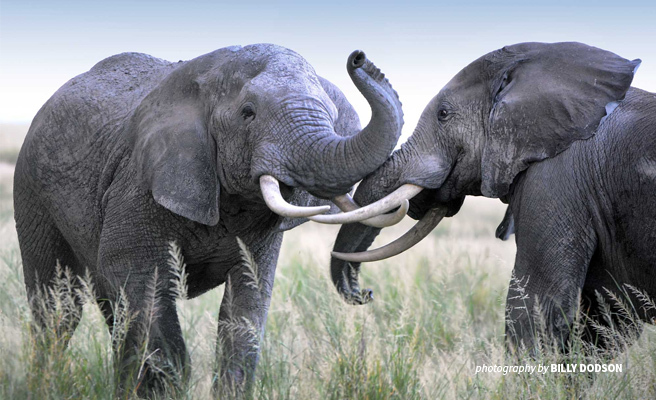 The U.K. government has announced that it will ban the trade of items made from ivory, a move seen by many conservationists as a hugely important step towards safeguarding the future of elephants. The African Wildlife Foundation (AWF) hosted its inaugural event in the United Kingdom on March 28, 2018 at the Royal Geographical Society. 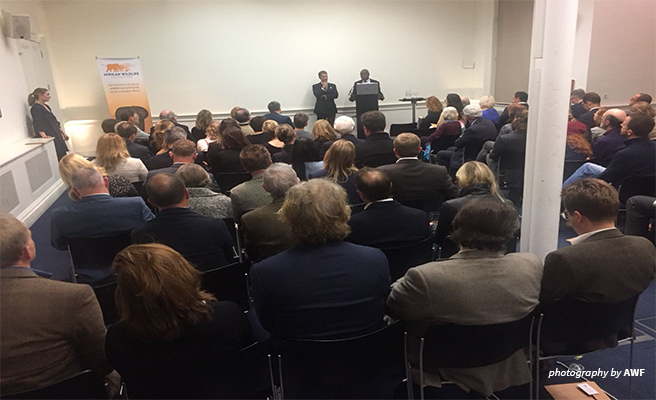 100 guests from the government, media, private sector, individual donors, and other groups took part in an evening highlighting the beginning of AWF operations in the U.K.